Mobile 4 Senegal is the legal instance of MobileSenegal. 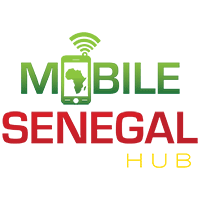 Mobile 4 Senegal is the first initiative of its kind in a Francophone country in Africa and recognized as a Tech Hub by the World Bank. Mobile 4 Senegal organizes boot camps, courses, competitions and dedicated field projects, and arranges training for faculty. It is led by professional and passionate educators, developers and quality assurance experts from the US and Senegal. The teaching philosophy that Mobile 4 Senegal designed takes into consideration the multi-disciplinarity of mobile application development and integrates teaching components on technology, software engineering, graphics, marketing, and entrepreneurship. It mixes theoretical instructions with a focus on real projects for real beneficiaries and incorporates follow-up of the participants’ projects. Some of these projects are global in nature and involve students from the US, Senegal, Cambodia, India, Thailand, and Tanzania. Mobile 4 Senegal is a pipeline that trains mobile developers for the Senegalese industry (incubators, startups and established companies). To date, more than 450 participants have completed boot camps and competitions. Mobile 4 Senegal launched two meet-up groups which have a total of 600 members: Mobile Innovations Dakar and Mobile Innovation Thiès (now retired). It was instrumental in initiating Mobile Monday Dakar to build a sustainable community of professionals around mobile technology (http://mobilemondaydakar.org, http://meetup.com/mobileinnovationsdakar). 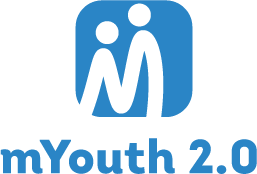 The Senegal partner for the mYouth fully joins the activities of the project, by attending all meetings for the project, by selecting youth participants from Senegal to join mYouth, by conducting a training, and further on a competition through a coordination with the Mladiinfo International and other partners. On board for mYouth, from Mobile 4 Senegal are Christelle Schraff, Associate Professor of Computer Science (Pace University, USA), who is also the co-founder of Mobile 4 Senegal, and a World Summit Award Expert (mobile competition) for Senegal, and Jean-Marie Preira, PhD Candidate in Computer Science, and also a Co-Founder of Mobile 4 Senegal.